Jazz Haven’s mission is to advance the culture of jazz in Greater New Haven through performances and education. To be the community leader in support of the great American art form of jazz music. Jazz Haven was formed in 1996 by Doug Morrill and Harold Danko. Our papers of incorporation as a 501c3 not-for-profit organization date back to that time. Since its inception in 1996, Jazz Haven has promoted the culture of Jazz through unique collaborations with artists, organizations, schools and other groups. The skill and passion that its Board members have demonstrated for the culture of jazz encourages a growing network of organizations and programs that help promote jazz education as well as jazz as an art form. With its beginnings as a series of performances at Artspace, Jazz Haven has incorporated a variety of programs — often in collaboration with other organizations. These have included master classes with visiting artists at the Neighborhood Music School, concerts featuring internationally and locally known musicians, tributes to late jazz masters, benefits for not-for-profit organizations, jazz concerts in senior centers, jazz at Long Wharf Theater, consultation for programming and technical support of other organizations with similar missions, and education. 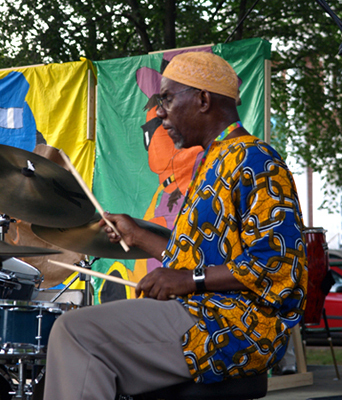 Jazz Haven has also produced the 2008, 2009, 2010, 2011, 2012, 2013, 2014, 2015 and 2016 New Haven Jazz Festivals all free to the public on the New Haven Green. We our proud of our role in maintaining the tradition of this jazz festival that was first created in 1982 by the City of New Haven, with the notable support of the Brian Alden company. Jazz Haven has organized and presented Jazz in the parks and other venues and presented educational programs in the New Haven public and private schools. Artists who perform at the New Haven Jazz Festivals also give workshops, master classes and performances for students at the Neighborhood Music School Summer Jazz Program. In cooperation with Mayor Harp, the New Haven Board of Alders, the City of New Haven’s Office of Arts, Culture and Tourism, and the Cultural Affairs Commission, Jazz Haven collaborated with the New Haven Symphony Orchestra, and the Jazz Foundation of America, to produce the 2014 Jazz Festival on the New Haven Green and expanded it’s JAZZ WEEK offerings to more than 25 jazz performances in New Haven restaurants and venues, all throughout the city. With the support of the Stoddard Family Foundation Jazz Haven also presented three years of of piano concerts at Shoreline Piano. In addition we’ve offered eight-week jazz improv sessions for an after-school program at the New Haven Public Schools’ Betsy Ross Arts Magnet School and produced a concert series with St. Thomas’s Day School in New Haven. We also collaborated with Long Wharf Theatre to promote the very successful month long run of the play “Satchmo” in the fall of 2012 and with the University of New Haven to produce two major jazz concerts for the college community. As part of an effort to promote economic development in the Elm City we have partnered with a number of restaurants, bars, and clubs to bring the culture of jazz to the people of our community, including such newly opened restaurants as Cave A Vin, Lucky Chao, Briq, ROIA, Elm City Social, and Oak Haven among others.